Hm... maybe you're exporting/importing differently? I tried importing the file I sent to you into my own Blender, and got a corrupted armature with no model, but WITH animations. However, when run it through the content manager, it works perfectly (with the exception of the scaling bones not working). Blender not being able to import FBXs has sort of become a given for me when working with it, though I am curious as to how you seem to be able to import FBXs into it (I've done quite a bit of research into this subject, and it's commonly accepted that Blender doesn't have the best FBX importer/exporter). Blender's FBX importer/exporter is woeful and strips a lot information from the model and animation. When I've used FBX files in Blender in the past, I used the Bos FBX importer/exporter plugin. For Blender 2.77 or higher. For earlier versions of Blender. Whoa, never heard of that. Will try and report results when I get home. If all goes well with the Bos importer and scaling, I'll update this tutorial with how to get BetterSkinned working. Thanks! Hm... I've tried the exporter. ContentManager can't import it. What's funny though is, this imports the model and the armature, but not the animations. The default Blender importer imports the animation, but neither of the other ones. It's alright, really. I'd prefer to use Blender's default exporter if possible, and I don't really have a need for an importer at this time. I've already kind of planned my game around avoiding scaling bones, so this not working isn't the end of the world, but it would be a good thing to figure out for others. hey - just a silly question. I am trying to get the Better Skinned sample to work, so I decided to follow the steps outlined above, but immediately I encountered a problem. Could you tell me if "MonoGame Pipeline Extension Project" is a project template that is used here? In this case, I don't seem to have that template available in my version of Monogame. Is there anywhere I can download it to add it manually? Hmm... I seem to be missing some of those. Then again I remember that after installing MonoGame I had an issue where all of the MonoGame default templates were missing. Perhaps I did not install all of them manually. 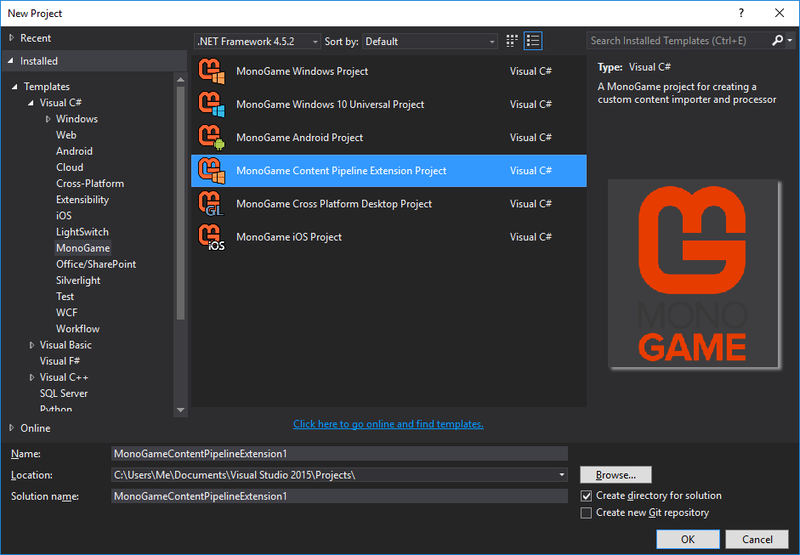 A pipeline extension is really just a class library project with MonoGame.Framework and MonoGame.Framework.Content.Pipeline references added. Sorry for my English))[:sweat_smile:] When I add SkinnedModelPipeline.dll as References from obj folder I had this problem [image] [image] and when I add SkinnedModelPipeline.dll as References from bin folder I didn't have problem in Pipeline Tool [image] but still have it in project [image] What is it connected with? Can this be a problem with the .fbx model? How can I solve this problem? Thanks! I'm sorry, but what does this mean? I tried to follow the steps of this lesson Now, my SkinnedModelPipeline project looks like this [image] and the main project looks like this [image] Maybe I did not understand something and did something wrong? The "Skinned Model Processor" doesn't appears in the dropdown list for me, I replaced the line 29, added the reference in the pipeline tool and restarted, but it doesn't work, how can I do ? Don't you have the dll to test ? are you updated to version 3.7? Seem like we have the same issue, the problem is only occur in latest version. If you wan to make it work, i will suggest u download version 3.6 and try again. I find my mistake I was only putting one dll but there's two, now ot works (with 3.6).